Good morning. Welcome to a Friday after a difficult week ahead of a difficult game tomorrow and what’s sure to be a difficult press conference this morning for Arsene Wenger. There are great players here, I train with them daily and they have got the mentality and the desire to win but sometimes, we lack the hunger, the mentality that we are winning 1-0 when we go out on to the pitch. Sometimes, we lack this hunger to believe that we can be champions … to go out on to the pitch feeling that we are already winning 1-0. ‘Hunger to believe’, it’s quite weird. I don’t for one second think there’s a single Arsenal player who isn’t absolutely desperate to win the title this season. Do they ‘want it’? Of course. Are they capable of doing it? Well, it seems not, given how the last two games are gone. Why? That is the $64,000 question. It’s something we chat about quite a bit on the Arsecast this week, but my feeling is that it’s got a lot to do with the style of football we play these days. It’s just so confused, almost improvised. This is not a typically swashbuckling attacking Wenger side. The big defeats in big games have led to a more cautious approach, and the success of that, and the way it came about, means that we’re not sure what way we’re supposed to play. Sitting off and hitting on the counter worked in games against Man City, against Bayern Munich, but when it comes a Swansea it doesn’t seem quite right to go at it the same way. Not to mention the fact that if you play like that, you need to be really good at counter-attacking, and we’re not. I think the lack of genuine identity in the football we’re playing right now means that players don’t quite know what they’re supposed to be doing, and that’s not helping the form of individuals or the collective. And ultimately, I don’t think Arsene Wenger has a clear idea of what the football we play should be. As I said, we expand on that in greater detail in the podcast, so do give that a listen (all the links etc below). Nevertheless, that Alexis quote is one that, even with some analysis, will live through the ages – especially if this is a season where we fail to take what is an incredible chance of becoming champions. Quite what the manager does to get this team sorted for a trip to White Hart Lane tomorrow is anybody’s guess. Maybe we’ll get some more from his press conference this morning, but I suspect he’ll keep his counsel because I’m not sure he really knows himself. It’s the kind of game that could provide a massive fillip, or become a straw that adds more strain to the camel’s back. The pressure is now immense, and if this week has shown us anything, it’s that this group of players aren’t really able to cope with that kind of thing at the moment. Away from that, and something which kinda got lost a bit in the footballing wake that was held after the two losses, we have to point out the empty seats in the ground for the Swansea game. It wasn’t just a few either. Even with a disappointing result against United, Leicester’s draw on Tuesday would usually have had fans invigorated to be there as the team continued a title challenge. We could have closed the gap at the top to just 3 points with 10 games today, yet thousands and thousands of fans and season ticket holders very obviously stayed away. That really does say a lot about how people feel about this team, and the way it has performed. Don’t make the mistake of thinking it’s just a reaction to what happened at Old Trafford, it’s not. It’s because people have seen this movie before and they know how it ends. There’s an old cliche about how good players put bums on seats. And maybe that’s the message that those on high will start to take notice of. It’s often been said that the only way they’ll pay any attention is if attendances are affected. Well, they are. Maybe they won’t care because the tickets are sold, but your ‘blue chip’ sponsors and your commercial partners around the world won’t be that keen because empty seats in stadiums look bad. They look grotty. They give off a whiff of failure and misery. And this isn’t on fans. You can’t blame the home support for the problems this team are experiencing. This is a consequence of the club’s actions and the manager’s actions when it comes to building his team. If there’s a lack of belief in them, that’s only been hammered home by the dropped points and the paucity of the performances. There’s a very obvious lesson to be learned, but it remains to be seen if they’ll pay as much attention as they should. 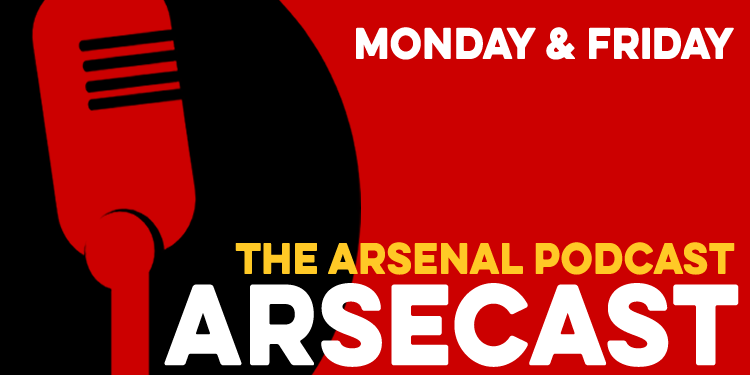 Time now for this week’s Arsecast and after a week of anger, frustration and dismay, we try and cut through that to make some sense of it all. I’m joined by Tayo Popoola and Tim Stillman to talk about the Swansea game, the performance, and why we couldn’t raise ourselves properly after the United loss. We analyse the way we play, discuss Alexis Sanchez’s comments and form, Joel Campbell, empty seats and, of course, Arsene Wenger. There’s some of the usual waffle in there too but not as much as normal, which may or may not be a bad thing. The show is brought to you today by Cornerstone, who make shaving better and more cost effective – just visit cornerstone.co.uk/arseblog for more (UK only). As ever we’ll have all the latest team news and more from the press conference over on Arseblog News. I’ll be back tomorrow with a full preview of the Sp*rs game, and all the stuff that goes with it. In the meantime, happy listening, and have a good Friday.